"Monks ought to have a zeal for silence at all times..."
"And behold, the LORD passed by, and a great and strong wind rent the mountains, and broke in pieces the rocks before the LORD, but the LORD was not in the wind; and after the wind an earthquake, but the LORD was not in the earthquake; and after the earthquake a fire, but the LORD was not in the fire; and after the fire a still small voice. And when Eli'jah heard it, he wrapped his face in his mantle and went out and stood at the entrance of the cave." We are spending the weekend (Friday evening through Sunday morning) at a Trappist monastery in Berryville, VA. Bordering the Shenandoah River, the property is composed of rolling hills and farmland all owned by the monks. Feel free to explore the premises! The monks have dedicated themselves to a life of work and prayer in service of the Lord. They maintain strict silence for much of the day, and they are very observant of their scheduled prayer. It is simple: be silent! You are not really supposed to talk to anyone, fellow retreatants or friends. Turn off your phones, and DO NOT look at them for the entire weekend. 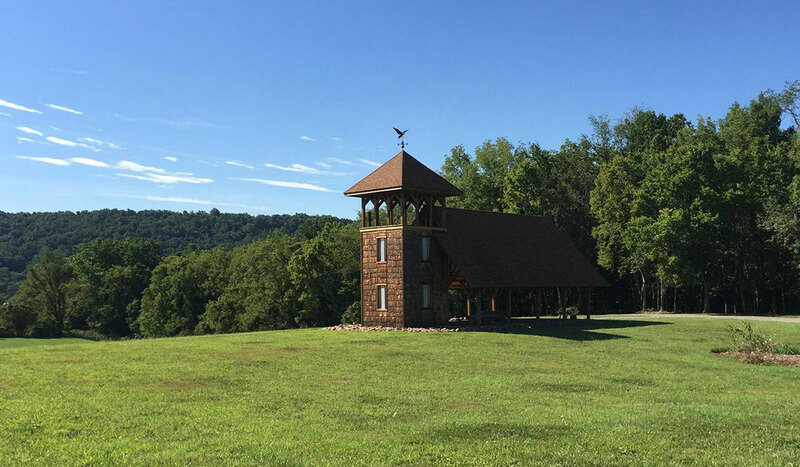 You will have an opportunity to sign up for spiritual direction on Saturday, and you can always go into the gift shop on the property and chat with the monk at the register, but otherwise you are to maintain the discipline of silence. Allow God to speak and allow yourself the opportunity to listen. Or simply just allow Him to nourish you through the silence and the peace. This is time for you and God! Bundle up and take a walk; the property is gorgeous! Sit in silence in the chapel. Pull your chair up to the window in your room, put your feet on the warm heater, and just read a book. Journal. Take a nap. Rest. There are no expectations. Just allow yourself to BE. How do I know when to pray or eat? You will have an information card that provides the details regarding meals as well as prayer times. You are expected to be at all the hours of prayer with the monks except for Vigils (the prayer held at 3:30am). Meals are also mandatory and their food is very good! Meals are taken in silence, in the monastic tradition. To sign up, please contact Pat Fricchione, Associate Campus Minister for Men's Ministry and Retreats. What: Two silent retreats during the academic year, one for undergraduates, one for graduate students. Where: All silent retreats are held at Our Lady of the Holy Cross Abbey in Berryville, VA.
Sign-ups: Before a student goes on a silent retreat, we ask him or her to meet with our Associate Campus Minister for Retreats, to ensure the student understands the expectations of a silent retreat at a monastery. For more information, contact Pat Fricchione.